This Master Sculpt from Maybelline is my holy grail this month. I love the powder of bronze colour. The highlight one I don’t use it is powdery and glittery. This Loreal lipstick is little bit sheere but it smells like watermellons so I use it sometimes. 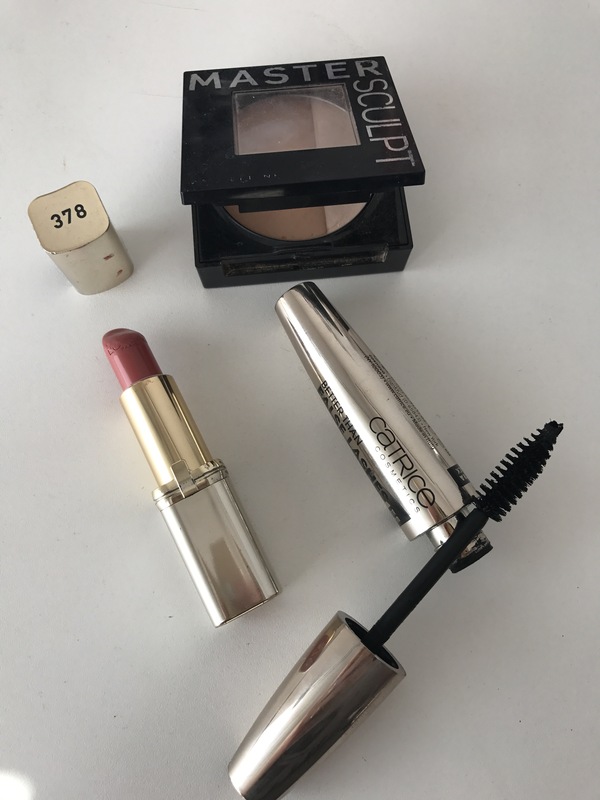 Catrice mascara is my fav topper mascara after my Maybelline Great Lash this one on top makes my lashes big and nice. Neutrogena wins when it comes to skin care. I love this moisturiser just as I love my Face scrub from Neutrogena. This one smells beautiful and makes my skin nourished. 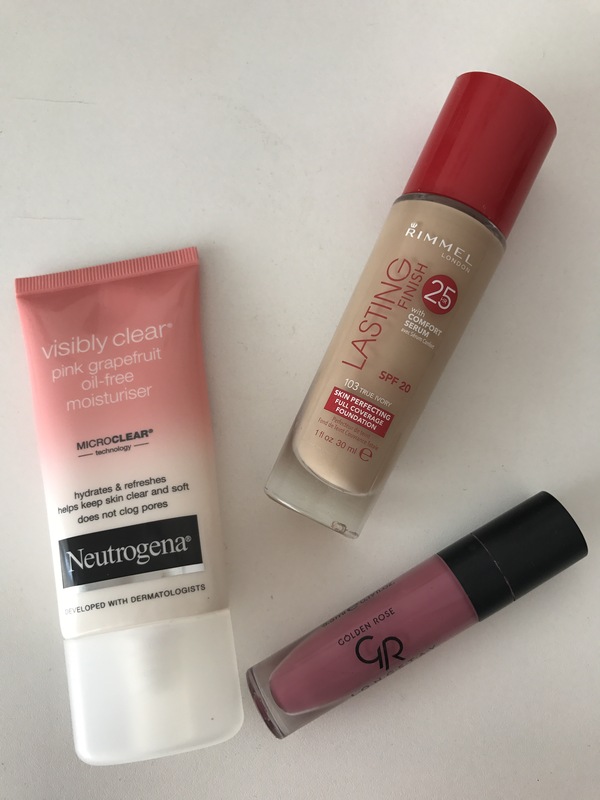 Rimmel lasting finish is my nah nah product. I haven’t used it that much but it is a little bit cakey and it can’t be set by powder products because it sticks and males your face powdery so you use it without setting. Next one is my fav for years now Versace Crystal noir. This one is dope. I am obsessed for 7 years now. 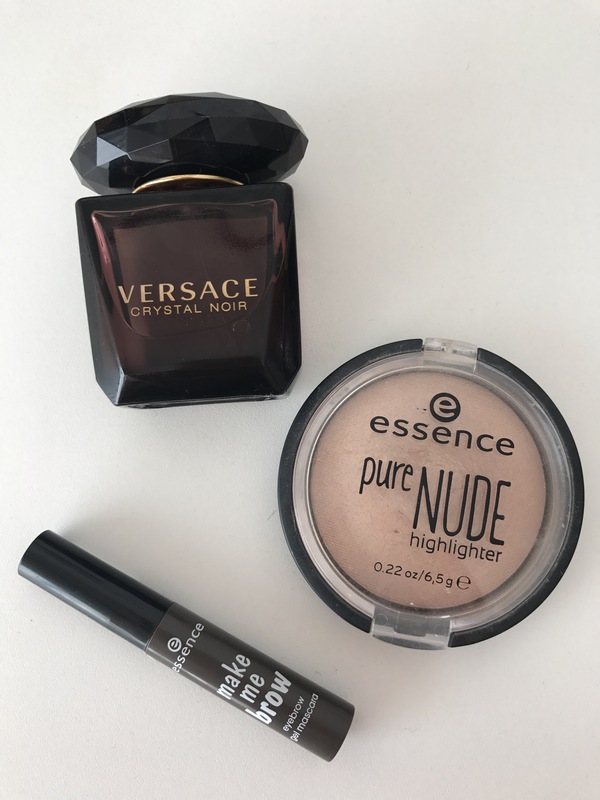 When it comes to Essence I think that all the products are win. They make very affortable ones and this higlighter is oooh sooooo good and glowy without shimmer and glitter in it. Love it for everyday use. That is all for saturday. Did you try any of these ones? What are yyour thoughts. Leave it in comments. I will be glad to read your opinions. Need to check out that Rimmel Foundation!